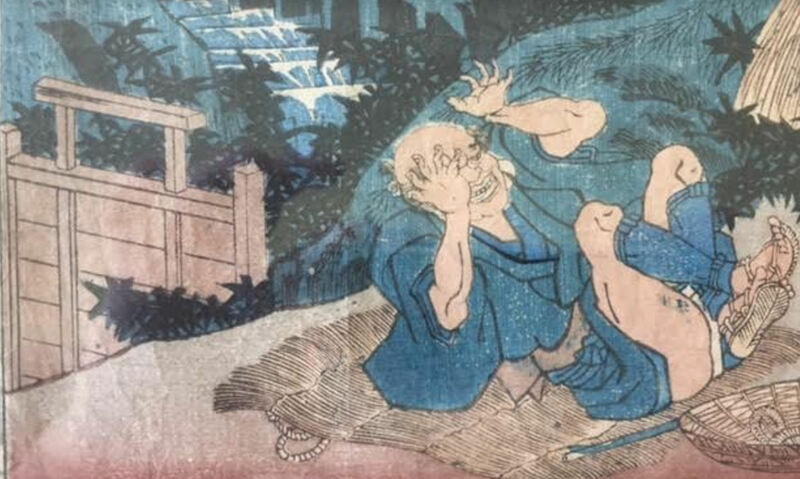 Utagawa Yoshitora Woodblock Print, c. 1850. 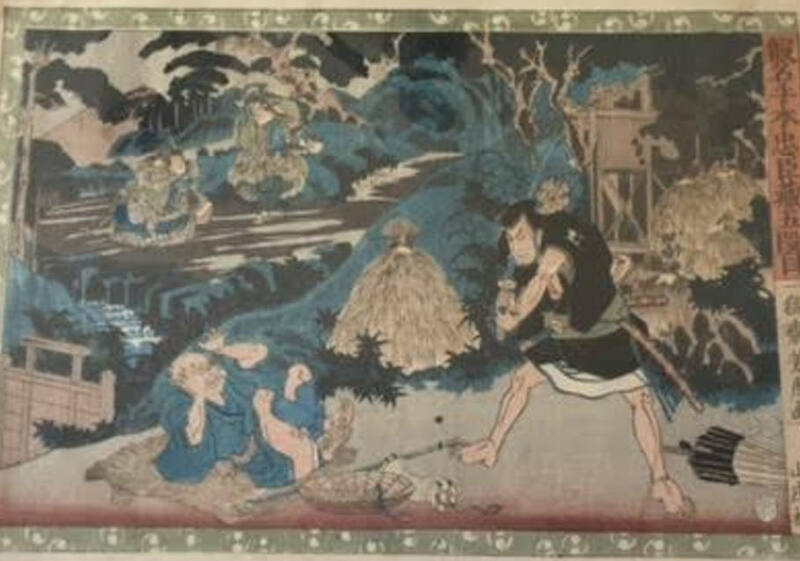 "Ono Sadakuro Killing Yoichibei to Rob his Money"
Original Utagawa Yoshitora Woodblock Print. Published in 1852. 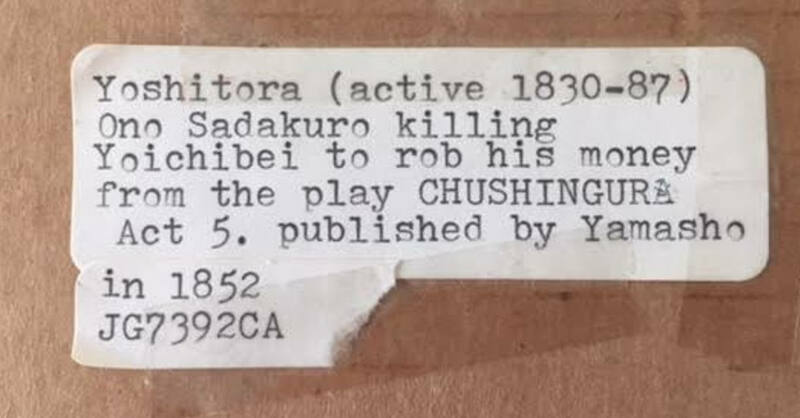 Ono Sadakuro killing Yoichibei to rob his money from the play Chushingura, Act 5. Print measures approx. 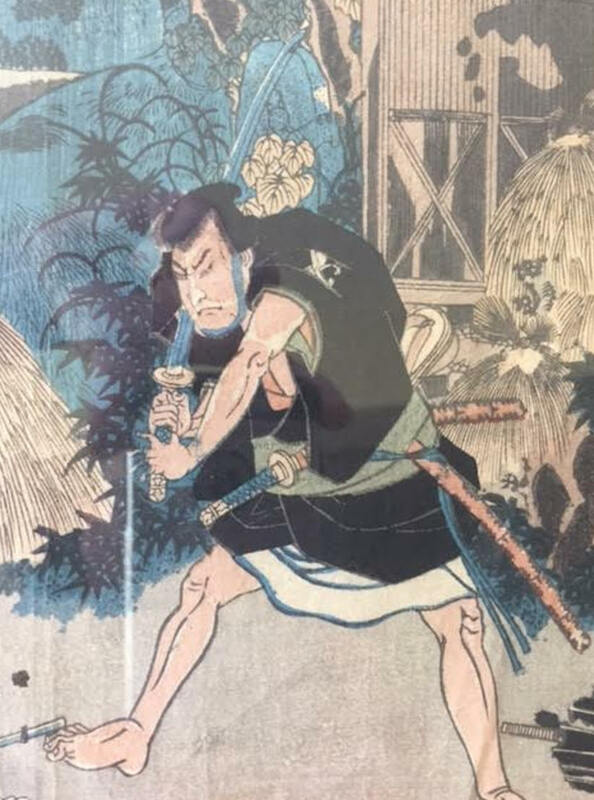 10 x 13 ½. Purchased from V. & J. Duncan Antique prints and maps in Savannah in 1988. Condition is excellent for color and detail with some toning consistent with age. Please see photos for details. Good overall. Comes framed behind glass.